Do you have news to share about your business but no idea how to get the word out? 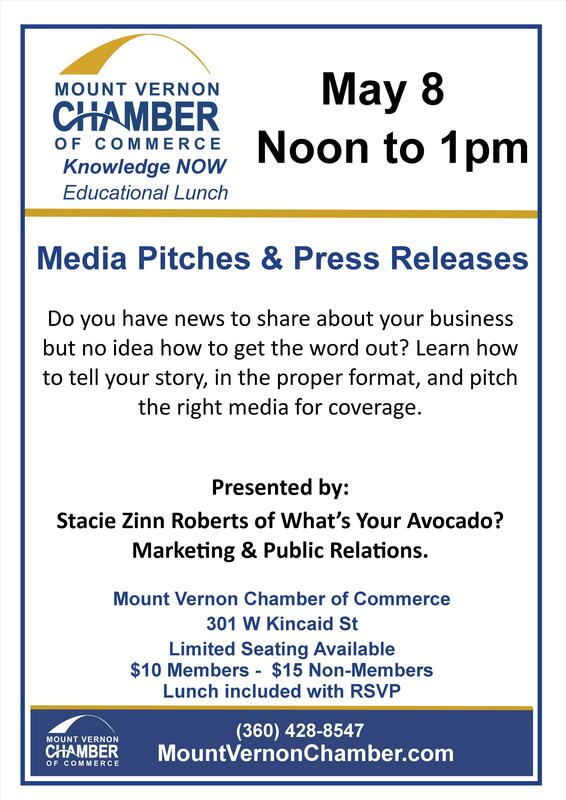 Learn how to tell your story, in the proper format, and pitch the right media for coverage. Presented by: Stacie Zinn Roberts of What’s Your Avocado? Marketing & Public Relations.